Microsoft! The word itself means reliability. If you are a common computer user, when you hear this word, the first thing that strikes into your mind is Microsoft Windows (it could be any version). If you are a user having more than average computer skills, you may complete it by saying Microsoft Office. When we talk to Microsoft Professionals, they get deep into other productive programs of MS Office like MS Access. You are right! 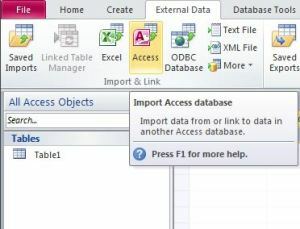 I am talking about Microsoft Access in this article, and will try to explain why we use MS Acess, its common errors if corrupted and solutions to repair corrupt MS Access database. Note – This is an in-depth article (lengthy article) to serve the solution to repair corrupt Access Database file. Please read the article carefully and till end, for the best solution. Why do we use Microsoft Access? 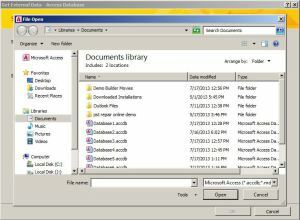 MS Access, which is also known as MS Office Access, is a database management system introduced by Microsoft. It combines a graphical-user-interface (GUI) and other software development tools with the relational Microsoft Jet Database Engine. It is widely used as a Database Management System in most of the MNC’s and big organizations. What is Database Management System? High-level corporate industries and organizations deal with a huge amount of data everyday. They have thousands of employees reporting daily and million of reports and transactions flow. All such data have to be managed in such a manner that users can fetch any form of data or detail from that cluster easily. MS Access provides a Data management System which gives users a flexibility to update, remove or edit any information, whenever required. It also allows users to create queries, tables, reports, forms, macros and VBA modules which cover front-end (load / entry) and back-end (reporting/maintenance). It also provides security to the data as the data is saved in an encrypted form which can only be decrypted by an authorized personal. I have also shared a solution if you loose your SQL database Password. MS Access is also used by software developers and data architects to develop application software. 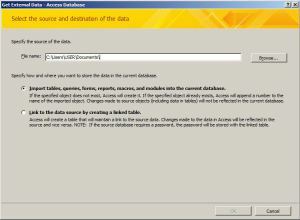 When a user works on MS Access, the database is created into two formats. 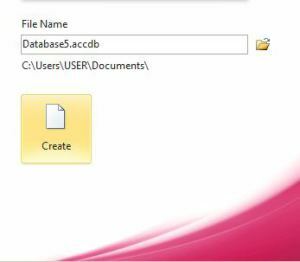 ACCDB (.accdb) or Access Database – In the current versions of Microsoft Access, the database file created is in the form of .accdb format. ACCDB Access Database file format is readable only in Access 2007 and higher versions. MDB (.mdb) or Microsoft Access Database – In MS Access 2003 and previous versions, the above Database Management System was compiled with a .mdb file or MDB format file. I have also mentioned in my previous articles that whenever we deal with computers and where crucial data is a major concern, corruption often occurs if we neglect minor issues or sometimes without our knowledge. No computer file is immune to data corruption, and there have been several reasons due to which an access database may get corrupted. Virus: This is the most common reason behind any file corruption. You may not realize that a virus transmitted from any external storage media or an infected website could replicate in the background and makes changes in the file attributes, formats or even deletes the file from the computer. When you run any program like MS Access, the crucial file that supports the linking of database or database itself is corrupted. Improper Shutdown: It is very rare that a computer which is used to manage such a huge database management system, runs without a power backup (Online UPS).But sometimes if the power backup fails, all the devices including the Access Database server will lead to improper shutdown. During this failure if there was any work being performed on the database, the whole Access database may get corrupted and inaccessible. Program Force-Exit: Due to multiple programs running on the computer at the same time, your computer might get hang or unusable for a while. During this session, if you forcefully exit MS Office Access, your database might get corrupted and then you’ll require to repair acces database file. If you had an accidental loss of data, the Access database is usually corrupt after you perform a data recovery using any data recovery software. Other issues like disk failure, Improper data synchronization can also be a reason behind corruption and therefore we need a trusted solution to repair MS Access Database. The database ‘filename.mdb’ needs to be repaired or isn’t a database file. Record(s) cannot be read; no read permission on ‘xxxx’. Error 2239 – The database ‘filename.mdb’ needs to be repaired or isn’t a database file. Error 3011 – The Microsoft Jet database engine could not find the object ‘xxxx’. Make sure the object exists and that you spell its name and the path name correctly. Error 3022 – The changes you requested to the table were not successful because they would create duplicate values in the index, primary key, or relationship. Error 3033 – You do not have the necessary permissions to use the ‘filename.mdb’ object. Have your system administrator or the person who created the object establishes the appropriate permissions for you. (Error 3049 – Cannot open database ‘filename.mdb’. It may not be a database that your application recognizes, or the file may be corrupt. You or another user may have unexpectedly quit Microsoft Office Access while a Microsoft Office Access database was open. 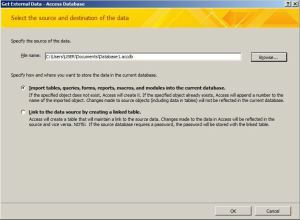 Do you want Microsoft Office Access to attempt to repair the database? 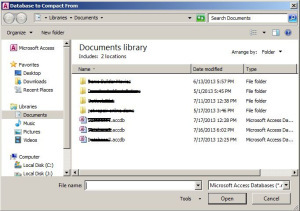 There are a couple of solutions to repair Microsoft Access Database from severe corruption. Either you may go with a paid tool to save time and energy, or you may go with an inbuilt solution or a manual solution to repair Access Database file. You can repair Access database using an Access Database Recovery tool which is developed by one of the finest software developers in email and database management industry. I am recommending this tool as SysInfoTools also specializes in after sales service where many other software providers fail. They also provide a Command Line Interface (CLI) version to repair corrupt Access Database file. This version is provided on demand and you may contact them for the same. Besides this, if you want to recover from Access Database corruption, you may use the built-in Compact and Repair feature by MS Access. You may also use this feature if your Access Database file becomes large as it can compact or reduce the size of the database safely and the content in the database remains intact. Access 2010 is my current version so the location might differ a bit if your are using any other version of Access. A dialog box “Database to Compact From” will popup. Locate the corrupt database file that you want to compact and repair and click OK. The program will start the operation to rectify and recover from corruption from the selected database file. You can also perform compact and repair using a VB code and perform the operation in a single click, below is the VB code. You have another option besides the Compact and Repair Database feature. You may also try to import your corrupted database file into a new database. To do this, you need to create a new blank database and follow the steps below. 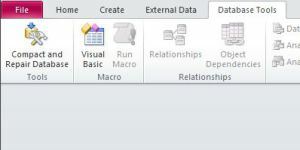 Specify how and where you want to store the data in the current database and click on OK.
A dialogue box will popup. 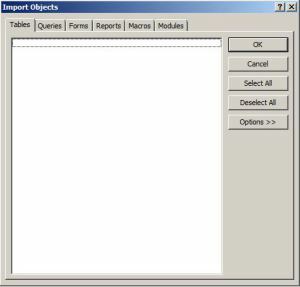 Select the objects and click on OK to import the data to the new file. So this is how you can repair corrupt Access Database file using a third party inexpensive tool and other manual techniques to recover from Access database Errors and restore the database in a healthy state. Even after applying the above mentioned technique to repair corrupted access database file you are unable to repair the corrupted database file then you can use other alternatives. One of the best options is to use Repair Tool in order to repair or recover your corrupted access database file. You can easily repair and recover your corrupted access database file.